The guys at Brando are at it again with their crazy combo gadgets, this one is quite useful, the USB Cooling Pad with HDD dock and USB Hub. 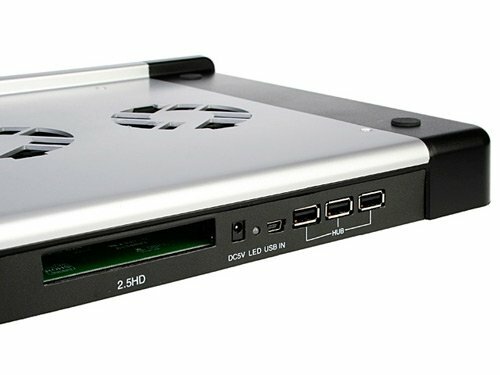 As well as keeping you notebook nice and cool, this combo gadget features 3 USB ports, and a 2.5 inch SATA HDD dock so you can add some extra storage to your notebook. 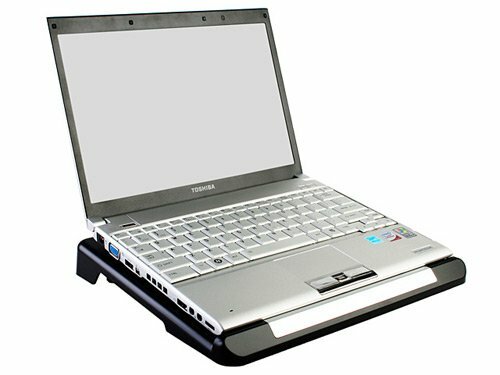 It measures 300 x 252 x 32mm, and has 3 built in 70mm fans to make sure your favourite notebook keeps cool. 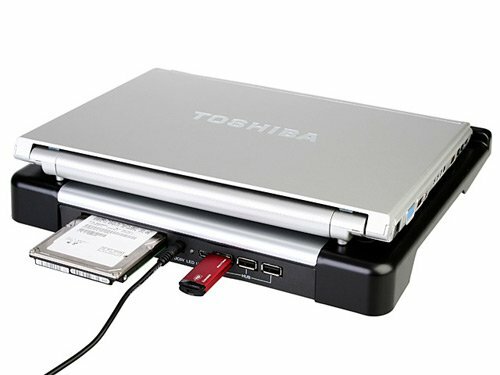 The USB Notebook Cooling Pad with HDD Dock and USB hub is available for $33 from Brando.